We are pleased to share with you our latest news. 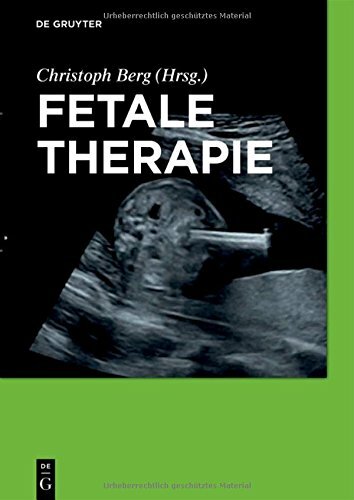 Our innovative product for Fetal Surgery, the Intra Uterine Shunt, has been included in the new book released by Professor Christoph Berg, key opinion leader of the field in Germany. In "Fetal Therapy"* nationally and internationally recognized experts in prenatal medicine and fetal surgery present a comprehensive description of prenatally diagnosed conditions and intrauterine methods. The most important therapeutic approaches are highlighted and surgical methods are illustrated in detail, making the work appropriate for use in day-to-day clinical practice. The Intra Uterine Shunt is indicated for the treatment of fetuses with obstructive urinary tract disorders. Further indications are the treatment of hydronephrosis, bladder dysfunctions or fluid accumulations in the abdomen.